Using lessons learned from real projects, this guide provides practical strategies and guidance for the safe, predictable, and economical use of NLT. Content includes architectural and structural considerations, envelope and fabrication details, and key information authored by Fast + Epp Structural Engineers, Perkins + Will, RDH Building Science Inc., Seagate Structures Ltd., Holmes Fire, and GHL Consultants Ltd. 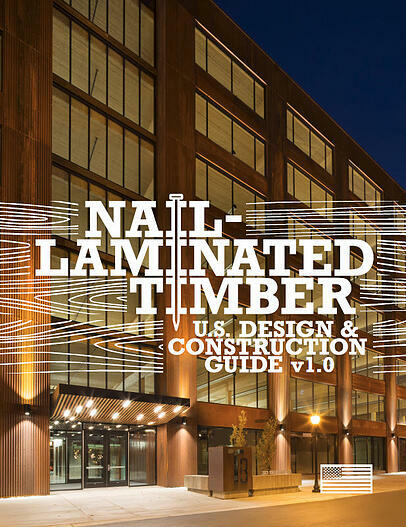 Please complete the form to receive a PDF of the Nail-Laminated Timber: U.S. Design & Construction Guide v1.0.